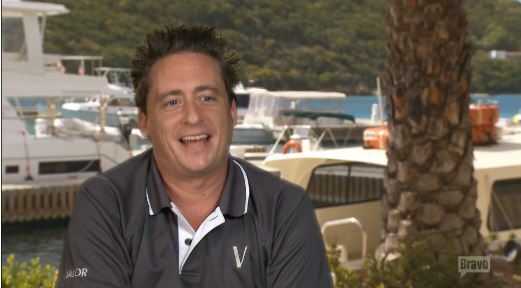 Fans are still in shock that perennial favorite yacht Chef Ben Robinson won’t be back for Season 5 of Below Deck. Why leave one of Bravo’s most popular shows? Back in February Chef Ben gave a statement to bravotv.com via The Daily Dish. There may be more to Robinson’s departure than meets the eye. He and Captain Lee didn’t see eye to eye last season on more than one occasion. Here’a a refresher from Captain Lee Rosbach’s BravoTV blog after one particularly gruelling charter. Ben, what in the world am I ever going to do with you? Your job is to prepare exquisite meals for guests that pay a great deal of money to eat them. And you do that so well. Does it really make a difference whether they call it brunch or breakfast? They are eating at different times. It’s not easy for anyone, but you seem to be the only one with your nose out of joint on what it’s called. Please stop with the nit picking. You are a brilliant chef. But your personal life and opinions have no place here. Nor do your arrogant, condescending attitudes towards our guests. You may express your opinions to Emily or anyone else in private about our guests, I can’t prevent that, but to set out to deliberately humiliate a client and embarrass her intentionally was so over the line. Had I been there and witnessed it, as soon as the charter was over, you would have received a plane ticket out of there. Totally unacceptable behavior from a senior crew member who is there to serve at the clients’ pleasure (clients who by the way pay us). Such arrogance and condescension were appalling to witness. Not just Ben being Bennie and doing what Bennie does, you were just plain obnoxious and rude period. Especially after she didn’t think you and Em had a future. Then you not only wanted to embarrass her, you put Em on the spot to help you do it. No excuse, and if I see it again personally, we will part company. Under no circumstance do you set out to deliberately humiliate a guest and get away with it on my boat. And by the way Ben, I don’t always have advance notice when the weather is going pear shaped. Anytime you feel that you can do my job better than me, I will gladly step aside a let you have at it. So whenever you feel froggy, you go ahead and take that leap. I will be more than happy to acquiesce to your expertise in the wheelhouse. It sounds like a break was needed by all from this relationship. My guess is Chef Ben will be back again next year on one of the #BelowDeck shows. What do you guys think? Do we need a break from Chef Ben or will the show suffer without him? Sound off!